It’s the Golden State, we have mild weather year-round, In-and-Out, famous beaches, Hollywood, the redwoods, and one of the biggest technology sectors the world has ever seen. Even though we are at the top of our game in so many ways, there may still be a few quirky facts about California that go under the radar. You know that phrase, “there’s always one person who ruins it for the rest of us”? That logic applies here. Someone somewhere did something foolish and now the rest of us have to deal with repercussions. Here are the top ten strangest laws in California. Luckily, this law was thrown out in 2012 (Still, 2012? ), but active beachgoers were not allowed to throw frisbees or footballs on Los Angeles County beaches without the lifeguards’ permission. The reason? It was deemed unsafe. 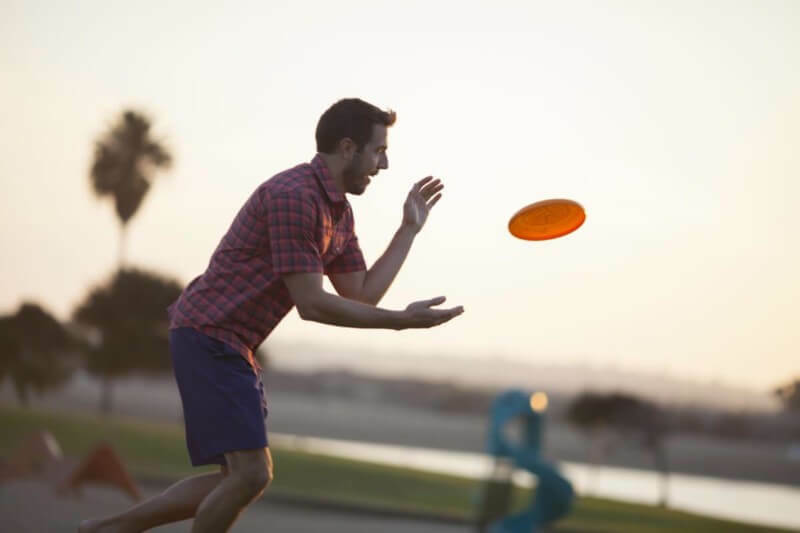 This law was created to ensure that people who play frisbee dangerously need to be responsible as they could potentially cause harm to themselves or other people. However, because this was a blanket statement, many people worried they were going to get fined up to 1,000 dollars if breaking this ridiculous law. In Arcadia, peacocks are citizens. There are an overabundance of peacocks who made their homes in this lovely town of 60,000 people, and because of this, there are laws surrounding their wellbeing. Peacocks have the right of way as any pedestrian would (whether they know how to use a crosswalk or not), so it is illegal to run over any peacocks, just as it would be a human. In Carmel, on a hot summer’s day, wouldn’t it be satisfying to enjoy some delicious ice cream? Think again! In order to keep Carmel streets clean, there was a law prohibiting eating ice cream on the sidewalk. The best part? It was repealed by the mayor of the time, no other than Clint Eastwood. Yes, that Clint Eastwood. Now Carmel has turned into the wild west, as you can eat ice cream on the street all you want. In the land where sunshine is abundant, this law is a puzzler to many. Though many theorists aren’t quite sure what this one means, they believe it is in response to landowners access to “air, water, and light.” These days however, “Sunshine is guaranteed to everyone” it is still relevant, as there are some restrictions in regards to building codes blocking views or the sky. In other strange news, there is a law that states, “No vehicle without a driver may exceed 60 miles per hour.” Was this law written in preparation for the future of driverless cars? Are California lawmakers against ghosts who have driver’s licenses? One hopes that if there’s no driver, law enforcement would pull over the car before it gets to 60 mph. Certainly humans know public indecency is a no-no, but what about animals? When the call of the wild happens, how are you going to stop Fido from pursuing that beautiful poodle across the street? There is a law that prohibits animals from mating publicly within 1,500 feet from a church, bar or tavern, or school. Granted, animals may not know what a tavern is, but maybe they’ll get the picture after receiving a ticket. You better think twice before putting on your cowboy boots in Blythe. There is a law that states you are not allowed to wear cowboy boots unless you own not one, but two cows first. Two cows must be the ultimate cowboy accessory. Want Christmas cheer year around? Too lazy to take down your lights after Christmas is over? If this sounds like you, you better think twice before wanting to celebrate twelve more months. In San Diego if you have your Christmas decorations up after February 2nd, this can warrant a fine up to 250 dollars. Did you find yourself in the heart of San Francisco with a truck full of manure and no place to put it? Think again before dumping it here. San Fran specifically will fine you if you dump a six foot or higher pile of manure anywhere within city limits.